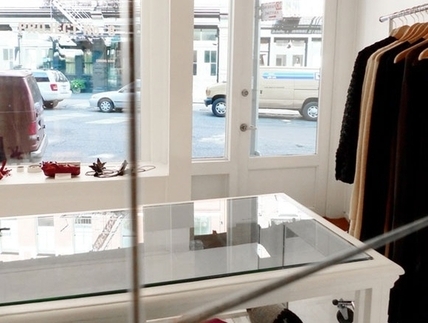 Now through August, always-cool boutique space Project No. 8 has reduced prices on a near-dozen designer and in-house label goods. We spotted the A Détacher Daja dress for half off ($225 from $550), Maison Martin Margiela oxfords on sale for $372 from $620, and Florian’s statement-making red cord necklace knocked down to a mere $98 from $419. Womenswear: 138 Division Street: Through July 31. Menswear: 38 Orchard Street: Through July 31.